String theory, sometimes called the "Theory of Everything", has the potential to provide answers to key questions involving quantum gravity, black holes, supersymmetry, cosmology, singularities and the symmetries of nature. This multi-authored book summarizes the latest results across all areas of string theory from the perspective of world-renowned experts, including Michael Green, David Gross, Stephen Hawking, John Schwarz, Edward Witten and others. 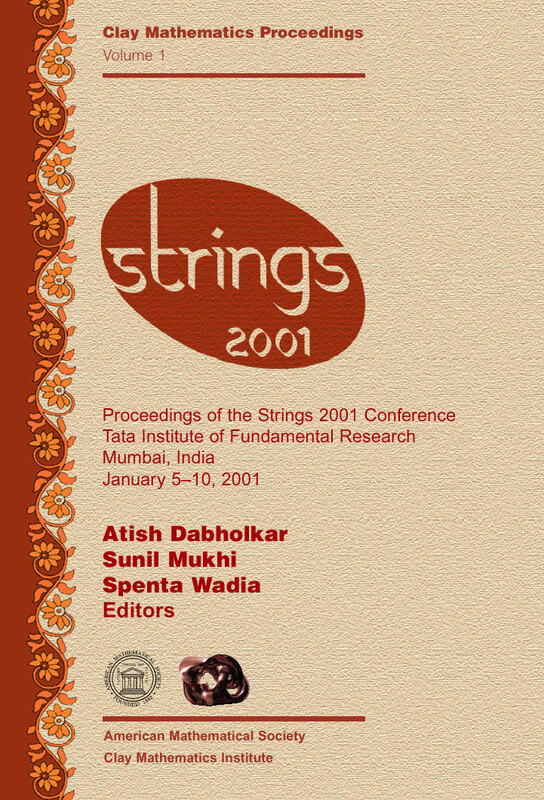 The book comes out of the "Strings 2001" conference, organized by the Tata Institute for Fundamental Research (Mumbai, India), the Abdus Salam ICTP (Trieste, Italy), and the Clay Mathematics Institute (Cambridge, MA, USA). Individual articles discuss the study of D-branes, black holes, string dualities, compactifications, Calabi-Yau manifolds, conformal field theory, noncommutative field theory, string field theory, and string phenomenology. Numerous references provide a path to previous findings and results. Written for physicists and mathematicians interested in string theory, the volume is a useful resource for any graduate student or researcher working in string theory, quantum field theory, or related areas.